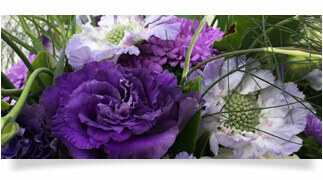 Our tailor-made service will provide a natural, fresh variety of arrangements that will suit your every occasion. We work with you to get colour-schemes, scents and symbolism to match the mood you need. We work with individuals and companies to provide a touch of nature to your every day. 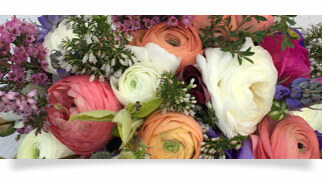 With fresh, local blooms delivered locally to your home or business we bring the beautiful British countryside indoors. Our flowers are (wherever possible) sourced locally from environmentally conscious growers, we’re dedicated to encouraging our bees and wildlife to flourish and we actively aim to reduce air miles. Bespoke bouquets, floral crowns and buttonholes for your special day. I work with you to create the most beautiful arrangements. Traditional, hand-tied floral tributes and wreaths celebrate a life with the beauty and wonder of nature. 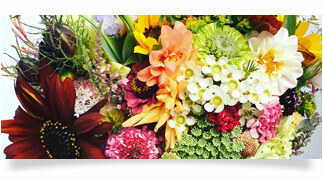 From hairdressers to offices, vibrant, freshly-cut flowers add colour and character to your work-place. Go wild, bring the great British countryside into your home or give them to brighten someone else’s day.